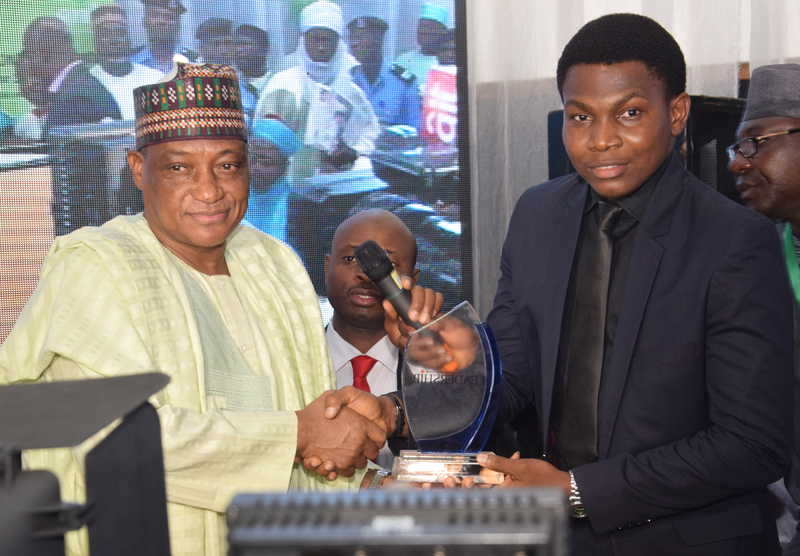 Award winning Nigerian carrier, Dana Air has bagged the prestigious Leadership Brand of the year 2016award, held recently at the International Conference Centre in Abuja. The Communications and Media Manager of Dana Air, Kingsley Ezenwa while speaking to newsmen at theaward said, 'we want to appreciate Leadership Group for this award. It just shows that people appreciate the effort we have put in to offer the best of services to our teeming guests. On the recently released AIB report, he said we have received the report and I am happy to tell you that the recommendations have been implemented since 2013. We have also passed rigorous audits conducted by a couple credible organizations including the Flight Safety Group – The foreign partners of the Nigerian Civil Aviation Authority and the International Air Transport Association. In 2014 we absorbed over 45 Nigerian Pilots and invested heavily in their training. Our Director of Flight Operations is a Nigerian with over 27 years experience and our Accountable Manager is also a Nigerian with over 30 years experience in aircraft maintenance, fleet management , quality and safety , and network planning. We have retooled a lot from our fuel audits to engineering and crewing. Our safety strategies are novel and world-class and our commitment to the safety and comfort of our guests is unwavering. We have gone beyond the recommendations and we set an enviable standard that we review on a daily basis. Let me also mention that last year, in furtherance of our efforts to continue to recruit qualified Nigerian Pilots, we turned down the employment of some Pilots who didn't meet the standards we have set even after their training. The investment in their training didn't really matter to us but the standard that we have set." 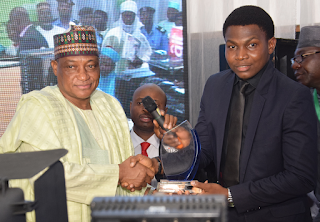 According to the organizers, Dana Air got the award for successfully pulling through the harsh operating environment, its consistency, and creating a brand synonymous with customer satisfaction in the ever -challenging aviation sector. Meanwhile the airline says it has introduced a special fare for corp. members and students as part of its broad corporate social responsibility and to complement the efforts of their parents and the government in this regard. According to the airline, to take advantage of the hugely discounted fare, all the students and corp members need to do is get the Naija Green Card, send an email to contact@flydanaair.comand reservations@flydanaair.com stating their the date of travel, route and preferred flight time at least 24 hours before departure and its done. The airline said it is committed to helping the Government, youth and students to achieve their dreams of a greater tomorrow. Dana Air operates over 27 daily flights from Lagos to Abuja, Port Harcourt, Uyo, Kaduna, and Owerri. The airline having flown a record 4.5 million passengers of in the last 8 years of its operation recently entered into an airline partnership with the Imo state government to promote tourism, commercial activities and employment generation in the state.